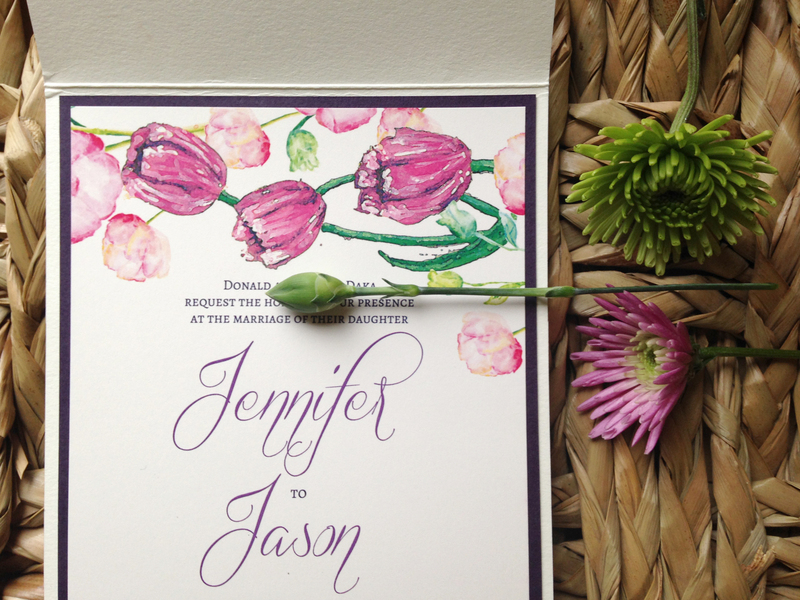 Jennifer and Jason’s Spring Wedding Invitations. 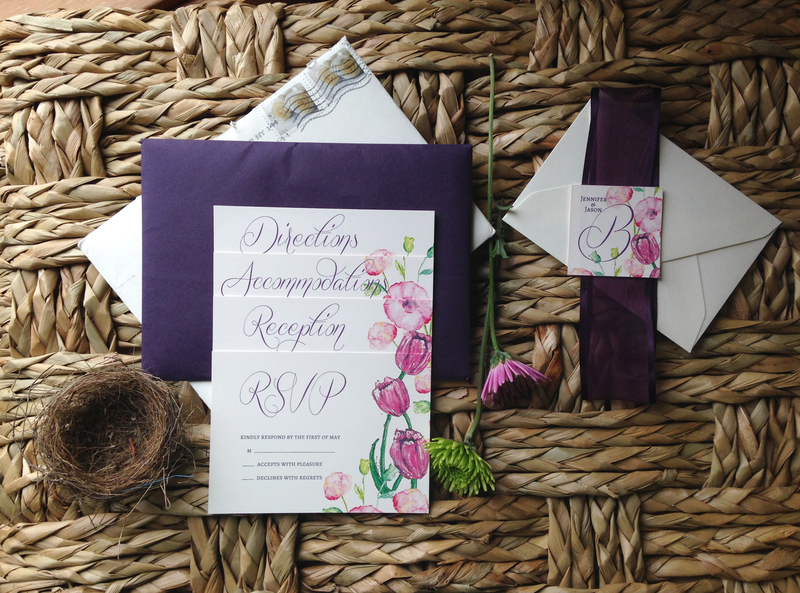 These invites were a treat to create. They hold so much meaning to the bride and groom. A custom piece of art was used in their design. 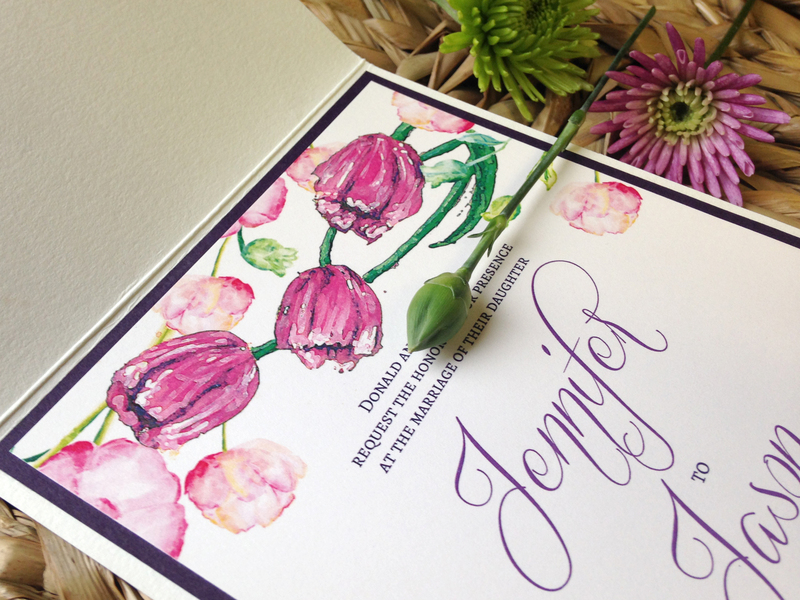 Jason’s sister Tiffany painted these tulips just for the invitation. 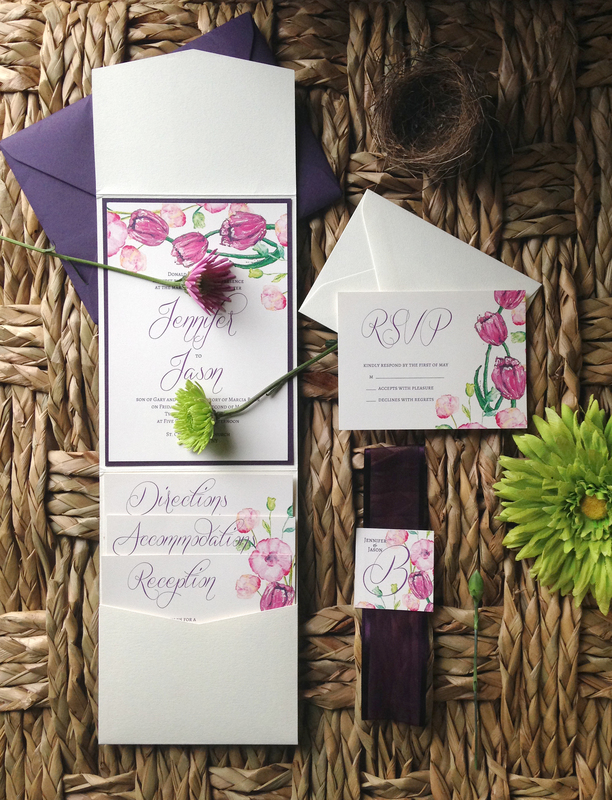 and needed the colors to match their spring wedding theme. We grabbed elements of the painting and brought their idea to life. from the Direction Card down to the Monogram. 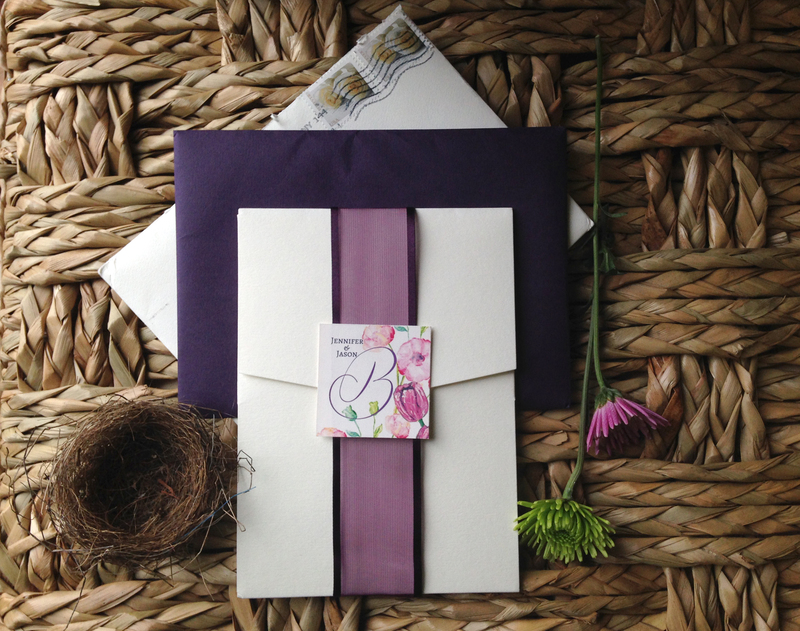 The result is a completely customized invitation with a very personal touch! What a fun project for us! Best wishes to the bride and groom.